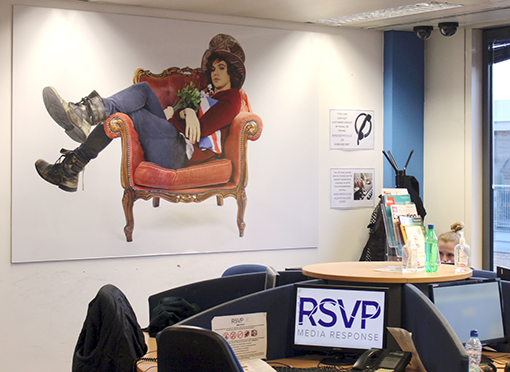 Here are some ideas we picked up on a site visit to the RSVP Media Response contact centre in London. 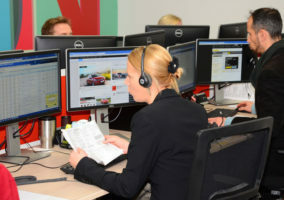 Rather than decorating your contact centre with generic images which fade into the background, try putting up fun photos of your agents instead. You can make these extra special by bringing a professional photographer into the contact centre to set up a studio. 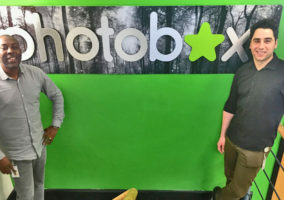 Between shifts, agents can then go into the studio to have fun photos taken with their colleagues – with the best ones being blown up and hung around the contact centre. Getting out into the fresh air is a great way to help your agents recharge away from the stress of the contact centre floor. With this in mind, try and make good use of any outdoor space you have to give agents a break or reward with a difference. For example, put a paddling pool and sandpit on your balcony in the summer for your agents to retreat to between calls. The use of the phonetic alphabet can help agents to capture correct customer information during a call. However, it can be difficult to remember. 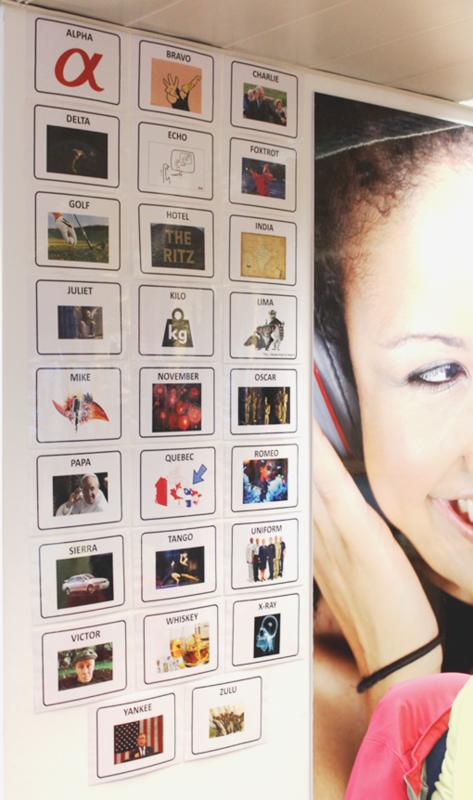 To help ensure your agents never have to (rather embarrassingly) resort to Alfred, Barney and Cat in place of Alpha, Bravo and Charlie, display the phonetic alphabet clearly on the wall of every room in your contact centre – including pictures if you are feeling creative! 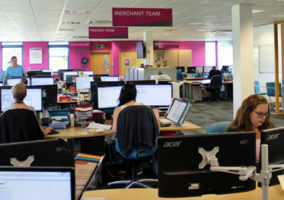 A good way to share best practice in the contact centre is to encourage agents to stand up between calls and say to the rest of their team, “hey, this is what is working for me today”. This informal style of knowledge sharing helps to spread good ideas as they emerge, as opposed to waiting for a weekly announcement in the company newsletter. 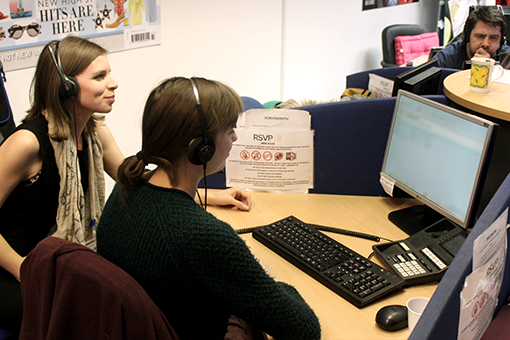 Contact centre training programmes are often too rigid in structure to make allowances for those who learn a little bit slower than the rest. This approach can see those with potential being shown the door before they’ve had the chance to show their true colours. If this sounds like your contact centre, try adding some flexibility to training programmes to account for the different learning styles you encounter. It can sometimes feel impossible to get everyone through the same training, especially when trying to accommodate those who are off sick or on holiday. If this is the case in your contact centre, it can be useful to film your training classes with a core group of agents. Anyone who has been absent on the day of the class can then sit down to watch the video at a later date. It can also be effective to take a “train the trainer” approach. For example, an external trainer comes in and trains a group of team leaders. They then feed out the information to their team in small groups or to individuals, as and when they are available. Often the week rushes by without agents getting a chance to properly catch up with everyone in their team – especially if Aaron sits on the opposite side of the pod to Sally and takes his break at a different time to hers each day. Too many weeks like this could leave your team feeling disjointed. One way to overcome this is to set aside time for weekly team bonding. Just half an hour on a Friday afternoon can be enough for some friendly chit-chat before the weekend. You can make this session even more relaxed by providing beer and pizza to thank everyone for a hard week’s work. Megan listening in on some customer calls. A ‘Power Hour’ is an hour set aside to pitch your agents against each other for a prize. This can help to boost morale on a Friday afternoon or during a mid-week slump. The focus of the session can vary from ‘most improved’ to ‘most sales’, while prizes can range from chocolates to experience days. 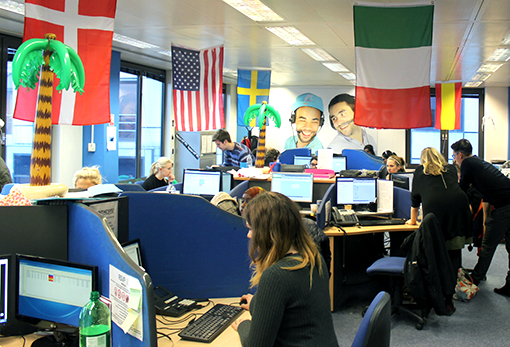 Some contact centre applicants may claim to be fluent in a second language, when really they only know enough to get by on holiday. A good way to test the extent of their language skills is to add a second phase to the interview process, where they are interviewed by someone who is a native speaker of that language. This should help you to weed out the fakers before you get them on the phones upsetting your customers. Don’t just base your Agent of the Month competition on sales figures. Take a look at the bigger picture and include quality scores, customer satisfaction ratings and attendance too. This should give you a better idea of who your top performers really are. 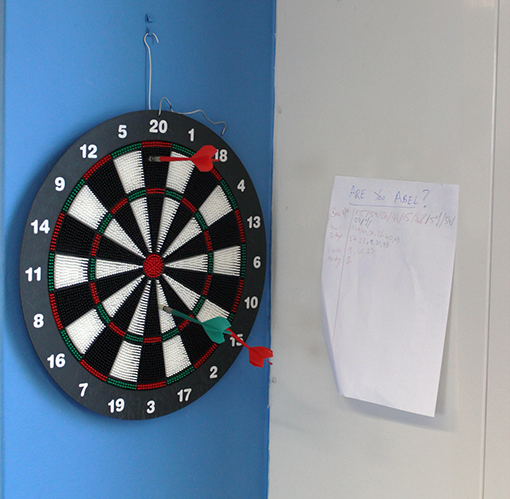 Put a darts board on your contact centre floor and have a competition to see who can get the highest score. Agents can earn the opportunity to throw 3 darts by making a sale or being awarded a “spot prize” for an exceptional call. Keep note of the scores and reward the person with the highest score with a prize at the end of the day! Taking a turn at ‘Deal or No Deal’ is a fun way to reward your agents for great performance. To set the game up, you will need 22 red boxes – with each number clearly labelled on the front of the box. But rather than filling the boxes with money, you can fill them with a variety of big and small prizes. For example, bottles of wine, boxes of chocolates and “best car parking space” or “paid day off work” vouchers. You can also include a “booby prize” of something silly like a tin of baked beans. To play, every hour you simply invite your best performer to open a box and keep the prize inside. If you want to make it really fun, you can have a manager ringing up, pretending to be the banker and offering them a (maybe) better deal before they decide to open their chosen box. They are staffed entirely by actors and members of the performing arts community, so their agents have well-honed resilience, empathy and listening skills. Agents can take time off at short notice for an audition – all they have to do is forward their casting email to the HR Team. To support their agents as they pursue their acting dreams, RSVP also offer up rehearsal space in their contact centre, allow agents to print off their CVs in-house and give employees access to a range of special discounts on necessities such as haircuts and headshots.